The Toyota GT86 is undoubtedly a stunning car that attracts the attention of any on-looker. To complete the outstanding look of the model however, a Zunsport grille is absolutely essential. Perfect for the keen motorist and car enthusiast looking to modify their Toyota, Zunsport grilles are made of stainless steel and offer the customer the ultimate in both appearance and protection. Thanks to our carefully manufactured grilles, not only can you protect the intercooler and radiator of your vehicle from road debris and wet leaves, but you can do so in style. The clean, elegant appearance of this product will be a stylish modification to your prize car. While the appearance of your grille is important, the main purpose of it is to protect your vehicle from both small and large pieces of road debris. With a plastic grille, at high speed you are vulnerable to rocks breaking through the lightweight material and damaging your radiator or intercooler. Neither of these parts are covered by your warranty, and as such this could become a highly expensive mistake. Such a problem would not be a worry with the unique Zunsport grilles, since they are made with woven steel, a strong and stylish material. Protect your engine with Zunsport. Zunsport grilles are the product of choice for the educated and passionate car owner. Those looking to perfect their car choose our products to finish off the stylish aesthetic. Zunsport looks for development vehicles for our development programme. We offer a wide range of grilles for a variety of makes and models, but should your car not be featured on the website, Zunsport offers a bespoke service to manufacture a grill for your vehicle. 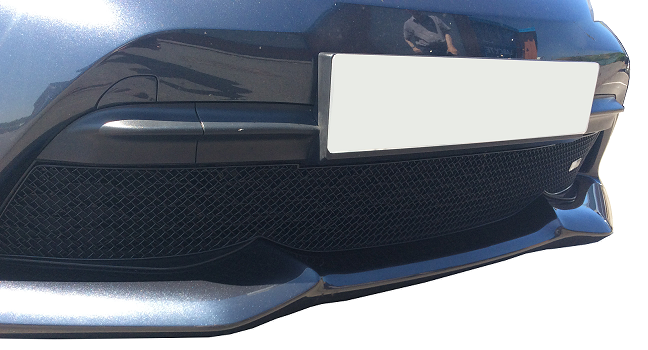 Bring your car to the factory, and we will aim to develop a grille for your car. You get the grille for free and will be compensated for your travel costs, on the condition we can produce the grille. Zunsport will then be able to offer this product to other people with the same make and model of car as yourself. Choose a Zunsport grille for your next car. You won’t regret it.